Not exactly a movie as it's more of a documentary on Katy Perry. The show contains some flashback of Katy Perry back when she was a young girl with her family, struggling as a gospel singer. The initial part of the show also tells of the tale of Katy Perry's parents, where both are devout Pentecostal Christians and the father is a traveling minister. The whole family are really devoted so that's where Katy Perry started off, as a gospel singer during her teenage years. She then decided to move out when she was 17 and started to try to make it big by moving to LA and started off by signing to a record label. In the movie, it showed Katy struggled in the early part of life in LA and almost hit rock bottom when her music career didn't blossom as planned and when she was low on funds. 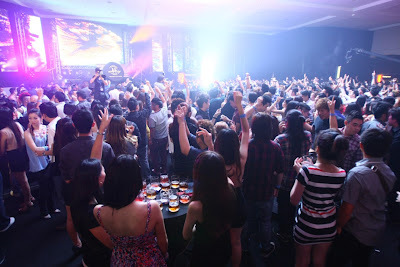 Also mentioned of her being in LA, 1st time living away from her family and started to live life partying. Though her music career didn't panned out as expected, Katy Perry moved on and signed with another record label but it also has it's set of problems because they at first didn't share Katy Perry's vision of how things should be, it's as if she's being held back from being who she is. 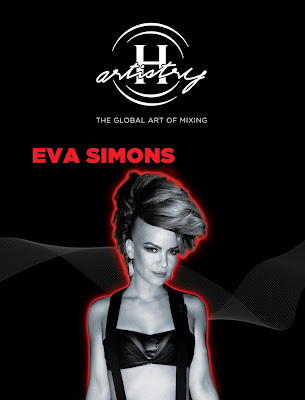 Of course, later on, she burgeoned into her own with her crazy style and her songs being produced and aired. Throughout the entire movie, the background story are just clips in between the live performances of Katy Perry on her Teenage Dream tour in various countries. The movie also covered the story of her relationship with Russell Brand on how it took a toll on her during her major tour and eventually they went their separate ways. I may not be a Katy Perry fan and of course I like quite a number of her songs (who wouldn't with such catchy tunes and the promotion of a live the good life, just how I like it) but this movie has succeeded in heightening my appreciation for her in that she persevered and was determined to become a successful singer/songwriter, she writes all her songs, sings with her great vocals and envision and put all the fancy displays and costumes in her shows into a reality with the help of her team. It also relates to me a bit as I find there's a little bit in common between her and me. Her parents and my parents are really devoted in their religion and that like her, I also moved away from family to the big city. And the things in common stops there. LOL. Anyway, I'm not gonna rate this show because fans of Katy Perry will definitely want to watch this show and for those who aren't, if you're somewhat interested in knowing a little more about Katy Perry and to see some live performance of her, then you would go ahead anyway, right? Okok, I rate it 3 stars out of 5. However, I do find it pointless to watch in 3D. It's a documentary and no amount of 3D can make it feel like the real thing watching a concert. 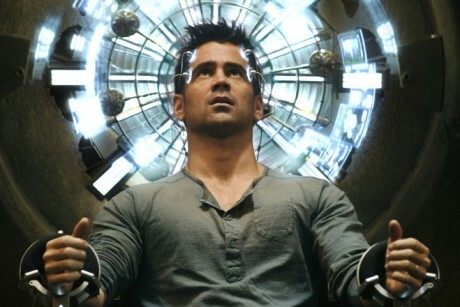 Very, very, very few movies has impress me with 3D and it doesn't even amount to a handful let alone this one. What happens if you put Rambo, Terminator, Transporter and a whole load of other action movie big stars like Jet Li, Bruce Willis with loads of guns in it? You get The Expendables! Now what do you get if you throw in Chuck Norris and a chick in there? 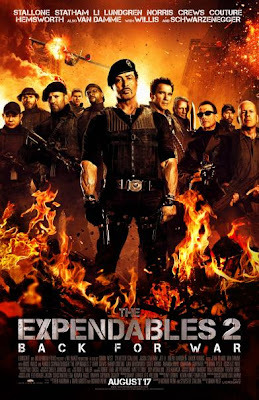 You get The Expendables 2! Expendables is basically a guy type of movie with loads and loads of action only. In The Expendables 2, Sylvester Stallone as Barney Ross started the movie straight off with his bunch of fellow mates guns ablazing tearing the place apart and taking a rich businessman back to China. 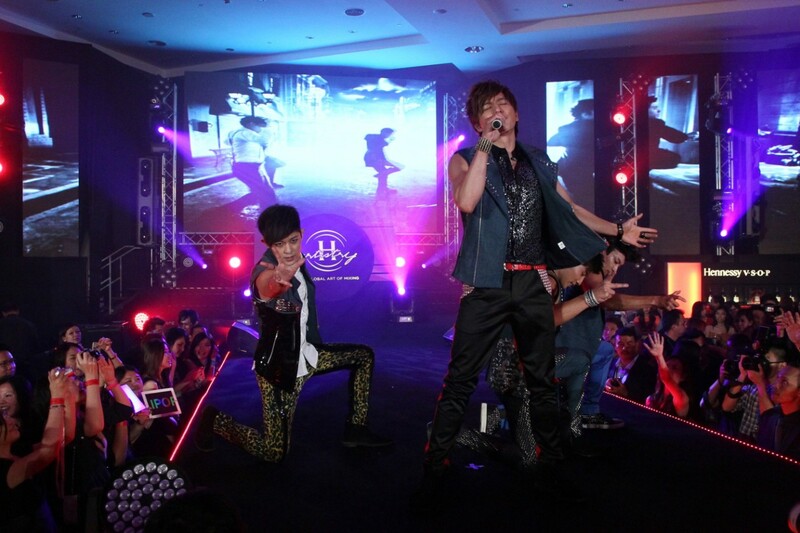 (And that's the last of Jet Li's performance in the whole show). When back in the good ol' U-S of A, Barney went off back to the hangar where they belong after a night of drinking at the bar and that's when Bruce Willis acting as Mr. Church wants Ross to help him out on a mission as a payback favor. The assignment was to retrieve back a document in a safe that was on a plane but was gunned down and in order to crack the safe which the combination changes at a specific time frame interval and failure to get the correct code will result in the safe arming an explosive device which will blow the contents of the safe, they are to have a person Maggie to tag along. After reaching to the plane's location, they retrieved the documents and were on their way off but later confronted by a gang led by Vilain played by Jean-Claude Van Damme. Vilain captured Billy (played by Liam Hemsworth) and took the documents away from Ross and his team and even killed off Billy before departing. Enraged by this, Ross was determined to lead his team for payback. He learned from Maggie that the documents were blueprints of a mine that contains plutonium. So that's where him and the whole gang went to exact revenge in addition to finishing their mission. 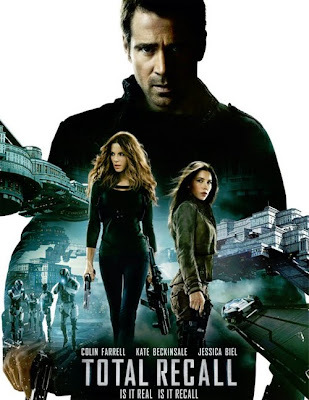 When you have so many big action movie stars in one movie, it's bound to be an action movie. Expendables 2 is just that. All action and less thinking. All those big names in there is bound to attract people to flock to this movie to see and there's just plenty of action. I would say that this show like the first movie is meant more for guys since it's just blunt action while girls would see this movie to see all the muscle bound men in it. 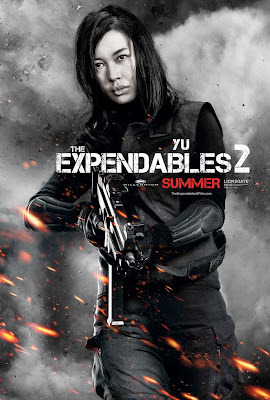 Me as a guy actually did like this movie just because of it's pure action and the much machoness of it. If you're looking for a storyline, don't turn to this movie because it's crap. All that matters in this movie is the action while the plot doesn't even matter. In fact, to me it's downright ridiculous with a lot of flaws and illogical moves in it. This one I'm rating it 3.5 stars out of 5. Norman is secluded kid who constantly sees ghosts/spirits, people who are already dead. But unlike a horror movie where people being afraid of such things, Norman are friends with all such spirits especially his grandmother. Because of the peculiarity of him being able to do such things, the living people find him odd and strange and thus avoids him. Norman has an uncle who possesses the same ability as him but the uncle distance himself from society but one day, approaches Norman and tries to inform him about the witch's curse. Due to the strange and creepy way Norman's uncle is, Norman's newfound friend from school, Neil, chased him away. Later on, Norman's uncle passed away and as a spirit, the uncle approached Norman and inform him about the witch's curse and his duty in laying to rest the witch during the anniversary before sundown otherwise the witch will bring to rise zombies to terrorize the town. In order to keep the witch at rest, he is to read a book at the witch's grave. Bestowed by this task, Norman set out to accomplish it but somehow it just didn't seemed right. And so, Norman decided to dig deeper and find out who this witch is and who are the zombies that she brought to life. In doing so, Norman uncovered a twist in the witch's curse which everybody had a wrong impression on. 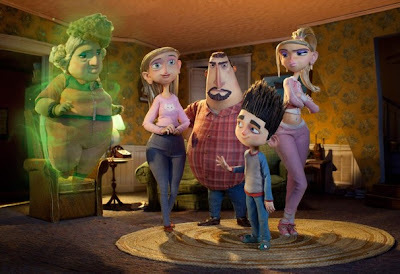 ParaNorman has quite an ordinary title and quite an ordinary looking trailer and storyline. But it do contain quite a number of funny moments and I'm sure kids would like this movie. Not sure about 3D, though. It seemed pretty plain to me. Whether it's 3D or not, it didn't seemed to make a difference to me. I give this movie 3.5 stars out of 5. 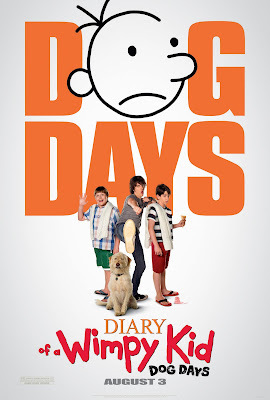 Though this one may be the 3rd installment on the Diary of a Wimpy Kid series, I've never once watched any of the previous movies before. But I have seen the book before! Well, just the cover. But the title does says it all what's it about. The wimpy kid is called Greg Heffley and like a lot of teenagers and kids these days, Greg is your indoor type of kid who loves video games instead of any physical sports. Dog Days is about summer vacation arriving and besides wanting to spend the entire summer just playing video games, he also wants to try to score with a girl he fancies named Holly Hills. His plan to get Holly fails when she did not complete writing her phone on his yearbook where the last 2 digits were missing. 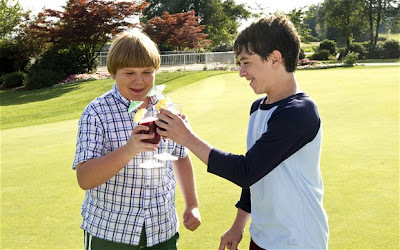 But lo and behold, one day joining his best buddy Rowley at the country club, he discovers that it's like heaven there and on top of that, Holly is a member there as well. So he tries all types of silly things and lies to try to impress her. Also, Greg's dad was not too keen on Greg spending time just in front of the TV playing video games and does all kinds of thing to get Greg out of the house such as getting him into camping. In order to avoid being an intern at his father's company, Greg lies by telling him that he already got a job at the country club. Everything seems so far so good until one day Greg joins Rowley on a a family trip one day, which ended up Rowley's parents not wanting Rowley to be with Greg so much. 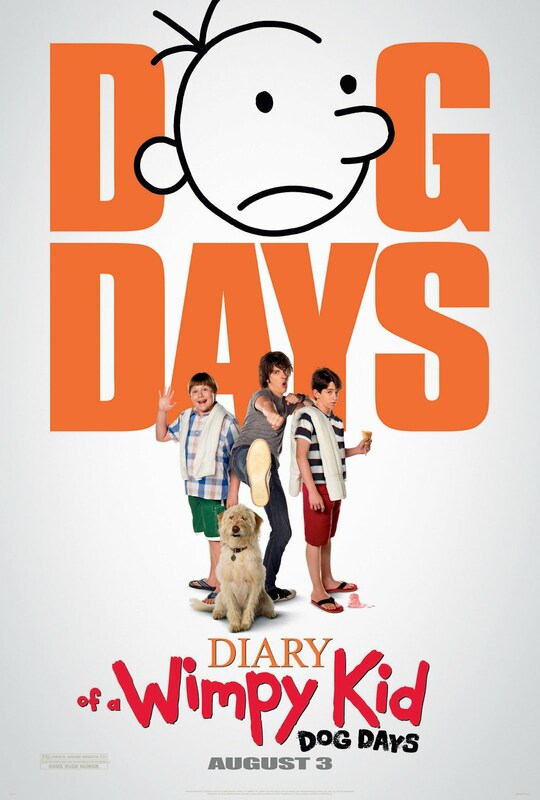 This has inconvenient Greg since he couldn't enter as Rowley's guest to the country club anymore but was blackmailed by his brother to sneak in so that he can sneak Rodrick, Greg's brother, in since Rodrick have the hots for Holly's sister. The lie turned bigger and bigger and one day, Greg's dad discovered the lie. This show is obviously aimed at teenagers and provides a decent show. But to an old man like me, of course it will fall short to my expectation. There are some funny moments in there but not enough to keep me entertain enough to actually pay to watch this show. 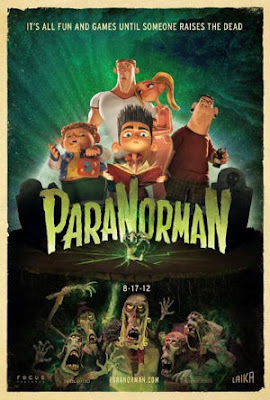 Of course, if I were to have a kid on tow, I would bring them to this if Paranorman has already been watched. I rate this movie 3 stars out of 5. Like any of NameWee movies, the overall moral is about unity. There are 3 main gangs in Malaysia, the Malays, The Indians and the Chinese. As kids, the leaders of these gangs were best of friends and they had the idea of leading their own race of gangs to protect them but still respect one another and still are the best of friends. As they grew older and had kids of their own, all of them were murdered making their kids the leader of their pack. Along came Te Sai, a thief who steals for a living to care for his son who's actually a very bright student. During the funeral ceremony of the Malay gang, Te Sai stole a ring that belonged to the former Malay gang leader. 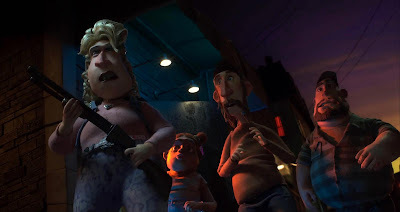 That ring contains the ghosts of the 3 gang leaders and they appeared to Te Sai to seek his help to change back how the gangs were supposed to be and not just gangs that terrorize the local neighborhood. They also wanted Te Sai to stop the mastermind behind this who murdered them and used the Malay gang leader as a puppet in carrying out his scheme that is to take over all the gangs and gain fortune and power. Te Sai, reluctant at 1st, then decided to help out the ghosts in return for 4D numbers. Will Te Sai able to carry out such an impossible task from a lowly person who keeps out of sight from people usually? Watch the movie to find out. As usual, the grand plot of any NameWee's movie is about unity. But unlike the previous NameWee movie, Nasi Lemak 2.0, this one is much of a letdown to me. The lame jokes and silly antics weren't funny but is just what it is, lame and silly. In my books, this movie just isn't funny and it's just not worth the watch. I'm sorry, but I would rate this 2 stars out of 5. This is a remake of the movie with the same name in 1990 where it starred Arnold Schwarzenegger. The story takes place at the end of the 21st century where after a great chemical warfare has left the Earth to contain just 2 places left, the United Federation of Britain also known as UFB which is a very large continent and The Colony which is just a tiny country. The main character of the movie is called Douglas Quaid, a factory worker and just your everyday, regular Joe. He always has that bad dream where he's a secret agent for The Colony and that him and another female colleague is running away from UFB agents but Douglas was caught and unable to runaway. One day, he decided to visit Rekall, a place where they fulfill dreams by implanting memories into a person's brain, and he requested for the memory of a secret agent. Before going through with it, the procedure for Rekall is to test whether the person is REALLY going through what he's requesting to be implanted with so that it does not cause any harm or malfunction to the person and the machine. But Douglas was tested positive as a real secret agent and then all of a sudden, UFB agents busted in started killing everyone else in sight and ask Douglas to surrender himself. Instinctively, Douglas reacted and killed all the agents that tried to apprehend him and he runs back to his apartment. Back there, his wife seem to be acting normal and disbelief his story but after awhile, his wife seems to try to kill him and he escaped off. Still not knowing his own true identity of who he is and confused as to why UFB agents are after him, he sets off trying to find clues and piece back together on what had happened. This show has some exciting moments and some great scenes of how the movie depicts the look of the world on it's own. It's a nice movie to watch but somehow, I got a feeling that it's missing some element to make it great. I rate this movie 3.5 stars out of 5. The Jason Bourne series is one of my fave action shows right up there with Transporter and Jet Li, Jackie Chan movies. 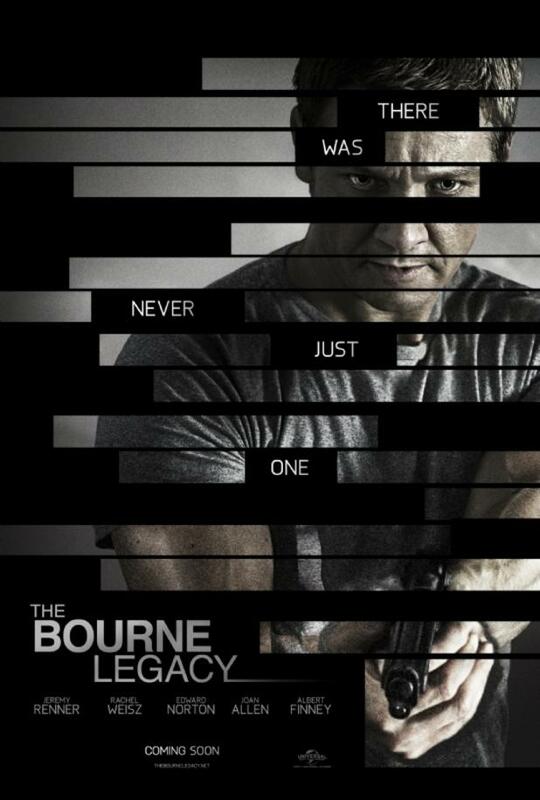 So when I heard The Bourne Legacy was out, I was thrilled to watch it although I'm not sure what to expect since there's no Jason Bourne in the movie. All I'm hoping for is the same fast paced, action packed Jason Bourne movies as before with the many vigorous camera moves during action scenes making it difficult to see what's going on but conveys the intensity and the sense of urgency of the moment which I believe are the 1st of them all to actually manage to pull it off nicely before the movie Transporter follow suit. This movie as mentioned earlier did not have a Jason Bourne in it but rather focuses on an agent named Aaron Cross (played by Jeremy Renner). As one of the secret agents, he's put in the training field in Alaska and on the meds that are given by the CIA agency to them to increase their reflex capability and thinking ability and the training field in Alaska was to toughen them up where they're suppose to find their way as instructed and to hand in their blood sample so that the scientist will be able to find out how effective they are. These carried on for quite a long time until Jason Bourne came along and exposed what CIA and the government were doing. In seeing the jeopardy of this exposure, Eric Byer (played by the brilliant Edward Norton) carried out the instructions of the higher ups in terminating any current operations and the undercover agents all around the globe and eliminate any evidence leading to the existence of all those clandestine operations and the link on it to the CIA and the US government. So most operatives were killed and Aaron Cross was supposed to be one of them but he manages to escape and outsmart them into thinking that they managed to kill him. Aaron Cross then using all his expertise and went to one of the scientist's house named Marta Shearing who just manages to escape being killed by a staged seemingly colleague went postal homicide and suicide incident. The federal agents that went to Marta's place mentioned that they're there to console and debrief her but then acted to try and kill her and that's when Aaron jumps in to help her out. Aaron then gets Marta to divulge info on the meds that he was on since he's running out of it and needs it in order to stay alive. It then leads them to Philippines and with the government hot on their heels to eliminate them, they had to react fast and to disappear from their radar forever. 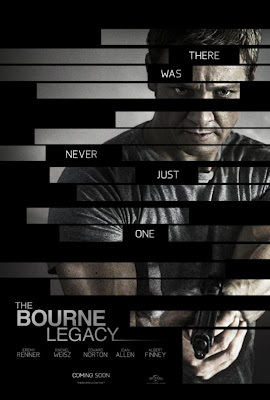 Bourne Legacy does contain the elements of the Jason Bourne series but it serves to be a bit of a disappointment especially not having Jason Bourne to liven up the action. It had a really draggy beginning with a lot of talking and I do understand that they wanna develop the story, but then again, even after an hour into the movie, I still haven't got a clue what's going on and it turned out to be a real bore in the first half. It only got better almost 2/3rd into the movie because that's when the real action started and I must say, the action of escaping at Marta's house wasn't much of an action. The only nice action scene was that one big long action scene at the end. So I'm rating this 2.5 stars out of 5. 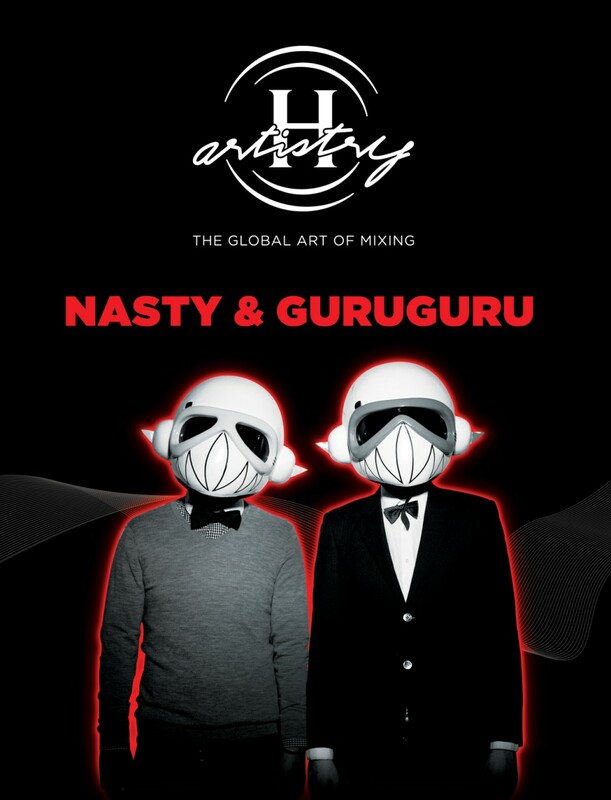 And yet another dance movie. I started loving dance movies when I watched "You Got Served" on my then trustee computer, but then with the not so long ago disappointment of StreetDance 2, I'm a bit hesitant to watch this as I'm scared it might turn out to be another big let down. Step Up Revolution dances is also about street dance style but the plot is that the dance crew who's called "The Mob" appears at unexpected places and time to take everyone by surprise and creates a scene with their dances to attract attention. In other words, a flash mob. 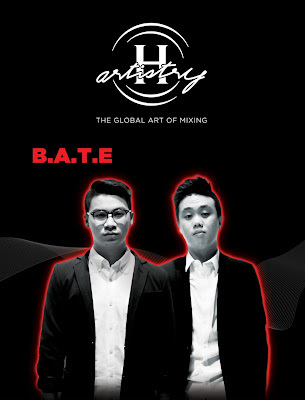 Their first main objective in doing so is to gather enough hits so that they can achieve a reward prize money for a YouTube competition. 3 of the crews work at a swanky hotel including the lead actor Sean who's a waiter over there. Sean met the daughter of the hotel owner, Emily, and had a connection with each other. Emily aspires to be a professional dancer but her father much wanted her to take on his footsteps and help him manage some of the properties but allows Emily to try and fulfill her dream by trying out in the audition to be the apprentice of a well known dancer at her own dance institution and if she fails at it, she will have to help her father out instead. Sean later introduced Emily to the world of "The Mob" and Emily was so fascinated with it, she wanted to join. After much pestering, Sean gave in and introduce to his best friend, Eddie, for his approval. She was then accepted to join the dance crew but her identity was kept a secret because it would mean the disapproval of Eddie should it be revealed. 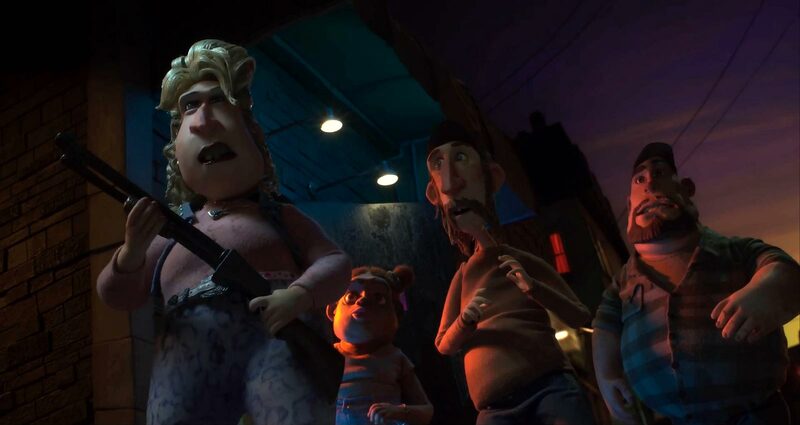 Pretty soon, the neighborhood of the dance crew was in jeopardy as Emily's father decided to take over the neighborhood and tear it down to make way for constructions. "The Mob" then, shift focus to send messages in their dances of their disapproval of this with Emily's participation. It all went well until Eddie found out who Emily is and decided to expose her and went rogue with the crew without Sean. It turned ugly and the dream of everyone started to fade away. This movie is a good watch since it's not just awful clips of fancy moves here and there like how StreetDance 2 was, but rather contains ALL full routine of their dances in which I enjoyed watching should their choreographed dance routine is interesting enough and this one was entertaining enough. Especially the end dance routine, where they brought back some from Step Up 3D resuming their characters to dance. Overall, I'd give it 3.5 stars out of 5. The show, directed by Boris Boo (even the name tries to scare you), no doubt has the word Ghost in it, but it's far from a horror movie. It's rather of a comedic genre. In the story, Lim (played by Kang Kang), has always been an unlucky fellow and struggles to make ends meet. One night, while him and his fellow flat mates were at a steamboat supper, somebody who committed suicide landed on their table dead. He then picked up a "Wordless Script" book that contains the spirit of the person who committed suicide. Lim then, keep having nightmares that constantly harasses him to buy lottery number that was given to him through the pages of the Wordless Script book when he was drying his hair using a fan and the wind from the fan flipped the pages of the book and he threw the book away since it was giving him the creeps. Dismissing it as a dream, he gets on with his life until the results of the lottery number came on over the radio where he was shocked to discover that it truly is the winning number of the lottery. Confessing it to his flat mates, they hurriedly picked the book back out from the garbage and eagerly anticipates for the next number. Sure enough it was given to Lim and he buys the number. As expected, the numbers hit 1st prize though they had to share it with many other people but Lim was optimistic since the sum of money was still considerably a lot. However, it was squandered away with the extravagant spending taken from the advice of his flatmate Nam and the 3 of them, Lim, Nam and Hui quickly depleted the winnings to nothing and back to square one. This time, when they try to get the numbers from the book again, Lim did not share the winning number with his flatmates although he sees it and he's the only one who can see these numbers. Pretty soon, they parted their ways with Lim making it big with his money and begins to earn more and more and more from his earnings. One day, Lim discovers the horrible truth over the winnings he possess from the Wordless Script book that the more he earns, the shorter his life will be. From then on, Lim tries desperately to lose all his earnings away so that he can prolong his life. There's also the story of his two flatmates, Nam and Hui after they went their separate ways. Nam and Hui were on duty grave digging. Nam saw the many priceless jewelry that was buried with the corpse and took away the jewelry despite Hui's objection to it. Pretty soon, the 2 of them were haunted with the ghost of the corpse which was a very powerful being unwilling to forgive them. This was a very entertaining comedy movie that I enjoyed despite my lack of joy and inspiration in these period of time. It certainly provided me with many great humor that tickled my funny bones. I enjoyed watching this and thinks it deserve a rating of 3.5 out of 5 in my books. One Recipe Cafe is a place where they serve Chinese seafood dishes for consumption. For starters, here are some side dishes that could warm up your appetite. The price of the dishes are reasonable enough and the taste of their dishes are not bad as well judging by my taste. Also, I'm giving away 10 50% off vouchers for this dining place, One Recipe Cafe, to my readers. Expires in 31st December, 2012. Is for ONE bill only. In order to get those vouchers, just email me at kelvintan3[at]hotmail.com with the subject One Recipe Cafe Vouchers with your name, contact no. and email.